Great news for adventure lovers. 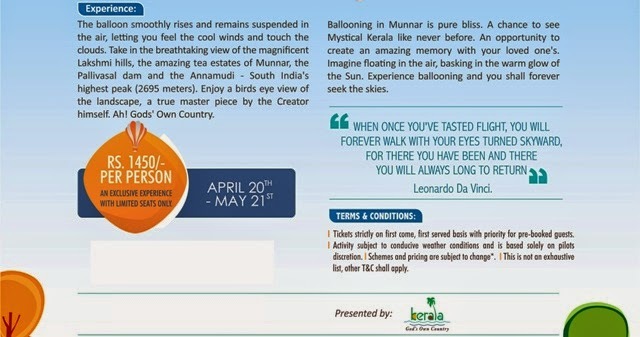 You all know about the scope of adventure oriented activities in Munnar and this year, Tourism Department of Kerala in association with The Ballooning Club of India conducting The Hot Air Balloon Festival of Kerala, 2015 between April 21 - May 21st at Munnar. The High Altitude Sports Centre and the Tata Tea grounds have been identified as the ideal venue for the same. As you are aware Hot Air Ballooning is the mildest of adventure sports and is very popular as a fun family activity. The activity to be held between April 21-May 20 will involve Tethered Joy Rides wherein the Hot Air Balloon will acquire an altitude of 150-200 feet while being firmly tied to the ground. The rides are typically 10 minutes for 2-4 passengers at a time. 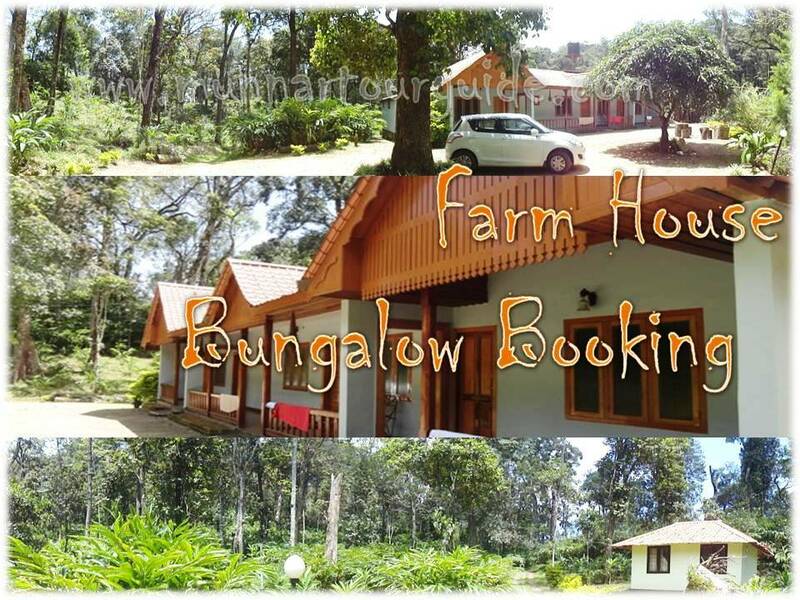 Venue: Tata Tea Grounds/High Altitude Sports Center Stadium. 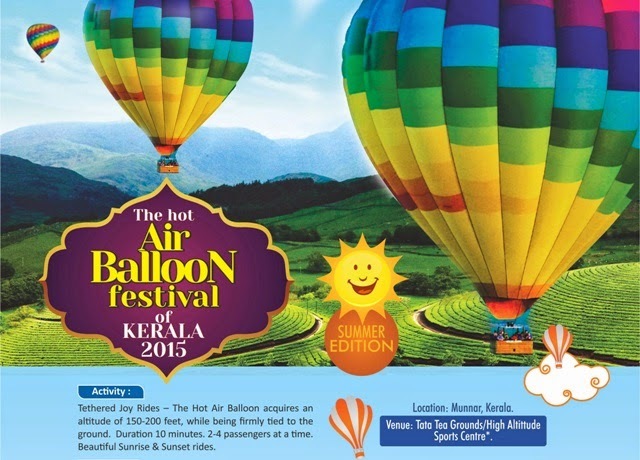 Hot Air Balloon Festival is been conducted with the support of the Tourism Department of Kerala and the Ballooning Club of India. Bandhu Aerospace, India's only Hot Air Balloon manufacturer whose Chairman Mr. Vishwa Bandhu Gupta is India's first Balloonist and the Secretary of the Ballooning Club of India (Ex-Member of Parliament) is the ballooning partner. You may be assured that all the requisite permissions and security aspects have been covered. We will be happy to share more information regarding the same should you require it. 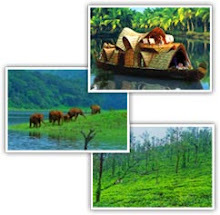 Hot Air Balloon festival and related activities are going to be an amazing experience to guests who are visiting Kerala this summer.